One of the first things I do when I wake up in the morning and feel groggy is check all of my email accounts – usually there’s something in there that stresses me out and helps wake me up. 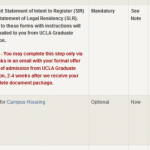 When my Gmail emails downloaded, I noticed an admissions decision email from UCLA. The official decision date for UCLA isn’t until the end of the month, so I knew this was either really good news, meaning they wanted to accept me before the other admits, or really bad news, meaning they felt my application was so poor that they needed to “pre-ding” me. Given all the news I’d received prior to this, I wasn’t really leaning either way. I didn’t have time to check the decision at home, so I to rushed to work and tried to focus on my driving. When I arrived, I closed my office door and I went through the same login process I did for every other decision. I thought I was feeling pretty confident at this point, but I still managed to type in my password incorrectly two times. I clicked the decision link, which led me to a letter from the Dean. When I saw the word “congratulate” I closed my eyes, both out of happiness and relief. It’s official now. I will be going to business school. Two years ago, I was dying of kidney failure. It was the Great Recession. I was desperately trying to balance my health problems with running my own company, and barely had enough left over to make payments for my COBRA insurance. I constantly teetered on the edge of financial bankruptcy, and probably even worse. But going to business school is about leaving the past in the past. I’ve spent the last two years of my life picking the pieces up, and trying to put them back together. Now I have a way forward and I’m not looking back. Congrats, Mark! Hope you get some time to soak in the good news and celebrate it. Congratulations! They’d have been crazy not to take you, dude. You got a great profile and totally deserve this. Best of luck on your Round 3 apps! Congratulations Mark!! I really loved UCLA’s campus and surroundings when I was down there a few weeks ago for R1 admit weekend! Congrats! What great news! We’ve just posted a video to our YouTube channel for accepted students that you may find helpful – http://www.youtube.com/watch?v=_fXPOxsYA7c&feature=channel_video_title – with tips on what to do next (yes–there are always more things to do…). Additionally, I just wanted to remind you that our iPad Giveaway ends in a few days, so if you haven’t filled out interview questionnaires – http://www.accepted.com/mba/interviews/questionnaire.aspx – for each of your interviews, you should do so quickly. Each submission is another entry into the iPad drawing. Congratulations Mark. Late but much deserved admit. This is fantastic and well-deserved news. Congratulations! 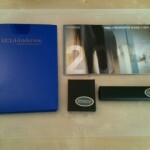 Congratulations on your admission to the UCLA Anderson MBA program. 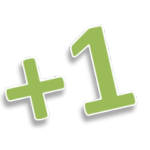 The applicant pool is very competitive this year, so you did a terrific job in the application process. congratulations! You’ve had a long tough haul, but you made it! Fantastic news. 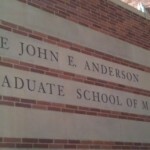 I hope you enjoy your MBA experience at UCLA as much as I enjoyed mine at UCLA. And if you end up at Wharton, that would be great too. Thanks MJ. Also appreciated the handwritten note in the admit package.